Despite my lack of energy with writing blog posts, I did have a very productive February & March. 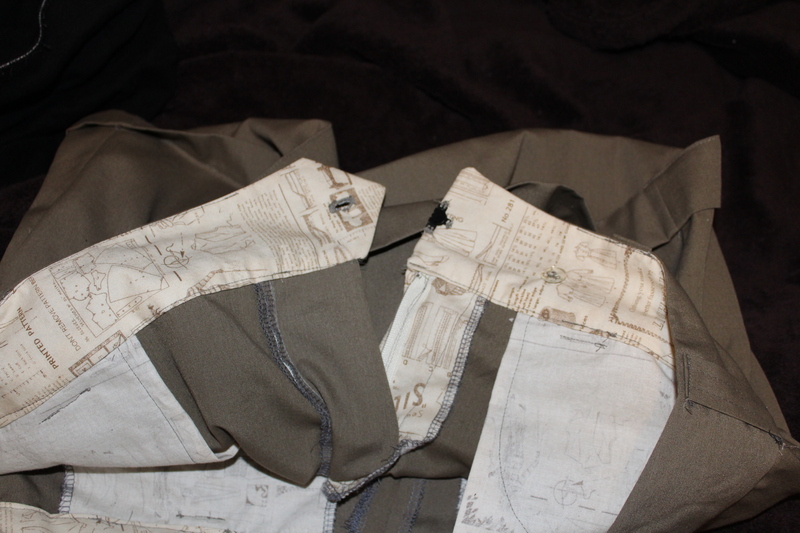 I was able to finish up my two button-down shirts (well one is mostly done) and get my pants project underway. 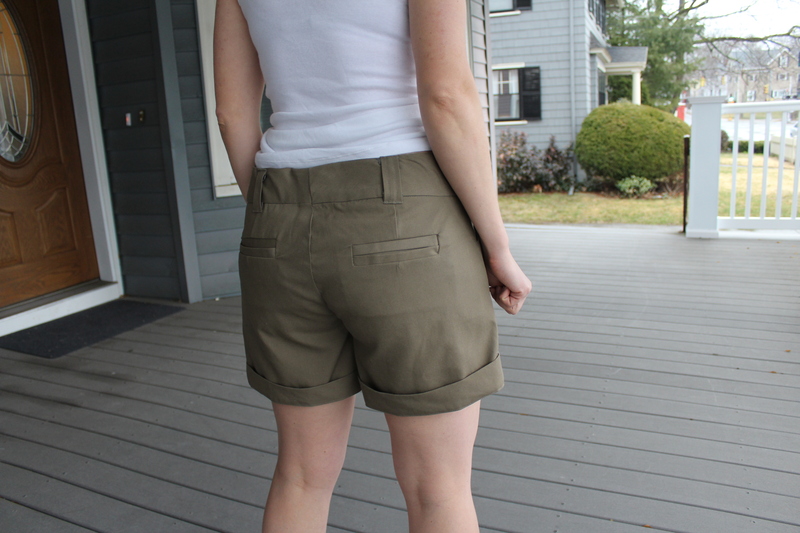 In order to figure out how to sew a decent pair of pants, I started out small – meaning shorts! What better way to figure something out by taking the whole leg out of the situation. Not only that but you waste less fabric this way. The thing about pants is that it tends to get complicated with the fly. I always feel like I’m following the pattern, but somehow I miss some important detail and I end up with mutant pants. The first time, the fly was not centered. One time I couldn’t get it to lay flat. And the main thing I always forget to do is enclose the fly facing within the pants waistband so it sticks out unfinished and looks completely unprofessional. The first pair of Thurlow shorts I attempted actually seemed to be going along as planned. 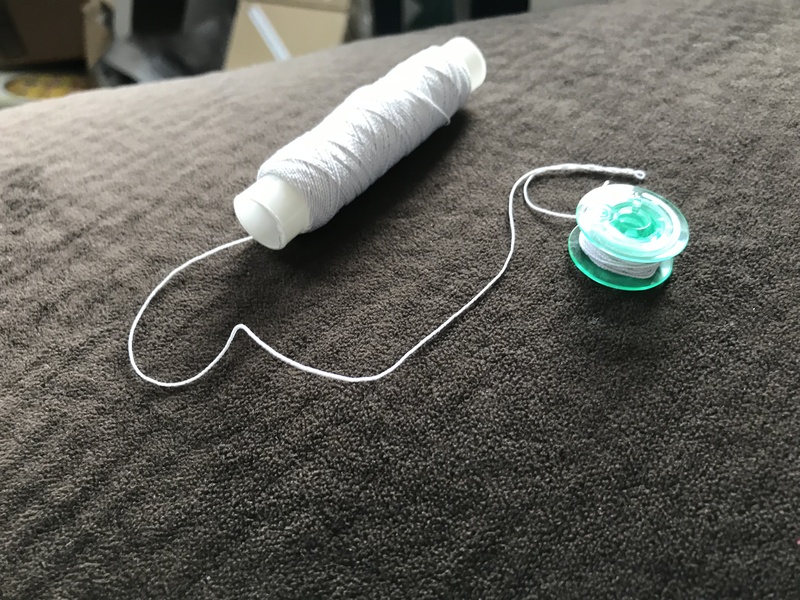 One of the main thing I learned was in order to make sure the fly ends up in the right spot, you need to pull the left side over to the notches on the other side. This will help you avoid pulling it too far over (which I’ve done) or not over enough (which I’ve also done). I actually perfected the whole fly & fly facing thing on these shorts and I was extremely excited that these could be the shorts where it all came together. However, when I sewed the wasitband on, somehow the left side did not match the right side and I couldn’t figure out a good way to fix them. That and due to a careless error, I ended up having to cut the sides down more than I wanted, resulting in bad fit problems. This was not my day. When I went back to attempt the 2nd pair of shorts, I was much more meticulous about going through each step. I think those mistakes also helped, as I breezed through the back welts and pockets (another confusing step from my first attempt) and fly construction. This time, the waist lined up pretty well and I was ecstatic. I wish I could take all the credit for figuring this all out, but actually my main cause for success was discovering this sewalong blog post. 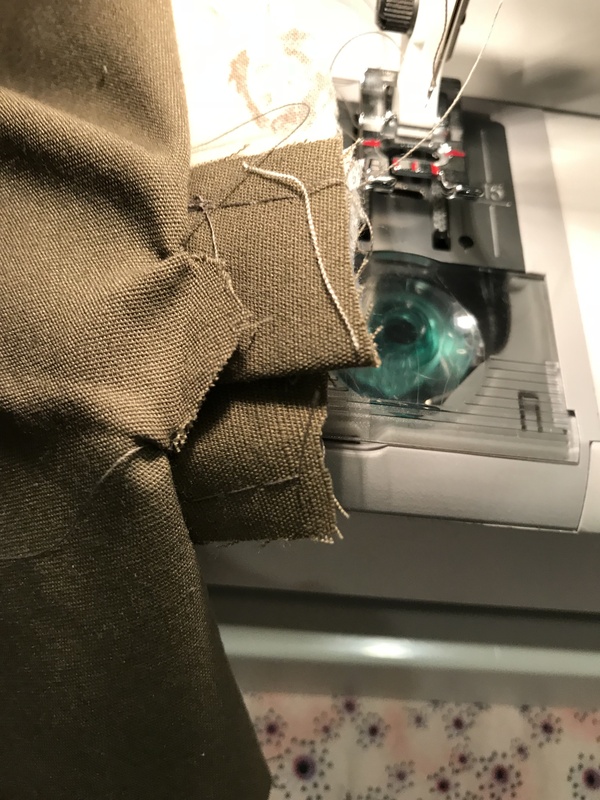 I had a very frustrating time trying to figure out the instructions on the back welt pockets when I was making the first pair, and a search online helped me find this and see what I was doing wrong. It kept telling me to sew up the triangles (?) and the drawing did not make any sense. 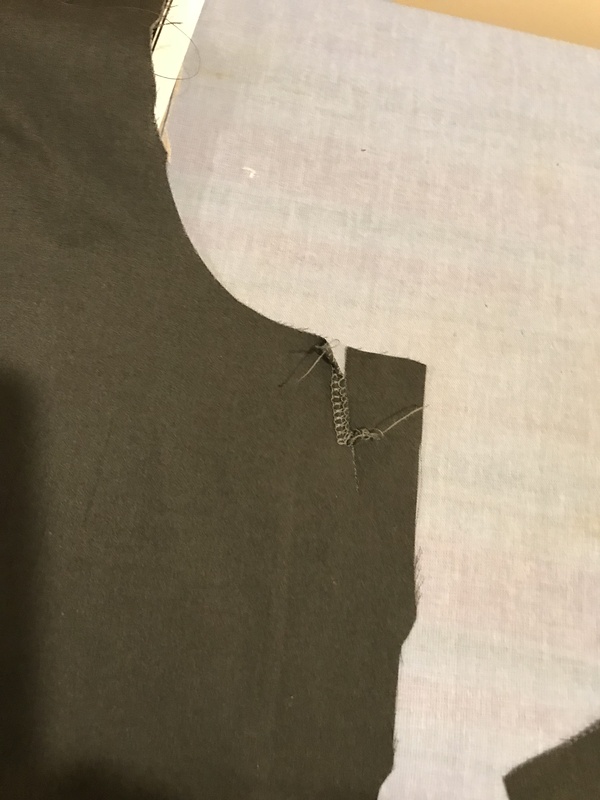 I didn’t realize I was supposed to sew down the triangle that was made from clipping the corners and that I had to pull the side over so that I was only sewing on the welt. Some actually pictures from the blog cleared this up and I was able to follow along on other sections as well. One of the main things that took away from these pants was to always make sure the waistband is long enough to cover the top of the fly and well as the center back. I now always cut it a little longer and the end just to make sure – I can always cut off more but adding on doesn’t work. The other was to take your time positioning where the fly is folded over and where the waistband is going. I really enjoy using interesting fabric for things like pockets and facings. For the gray short screw-up, I had used this great flannel with horses on it that I had bought as a remnant. I’m kind of sad that it ended up in a project that I had abandoned. For these tan shorts, I decided to use this great fabric my mother had given me, which was sewing themed with dress forms, pattern information and stuff of that nature. I was pretty terrified to use it, but it ended up working out in the end. 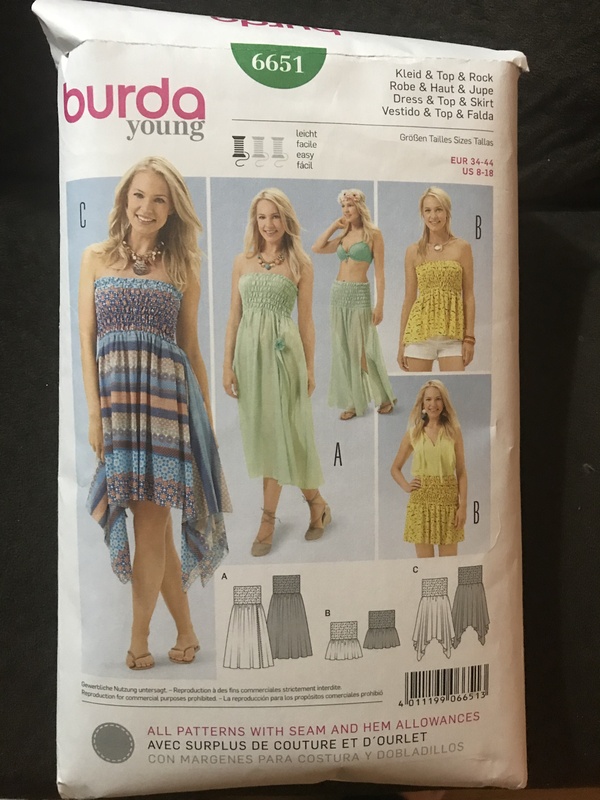 The instructions on the pattern for the wide hem were also a bit confusing and the sewalong didn’t cover this, so I kind of made something up. 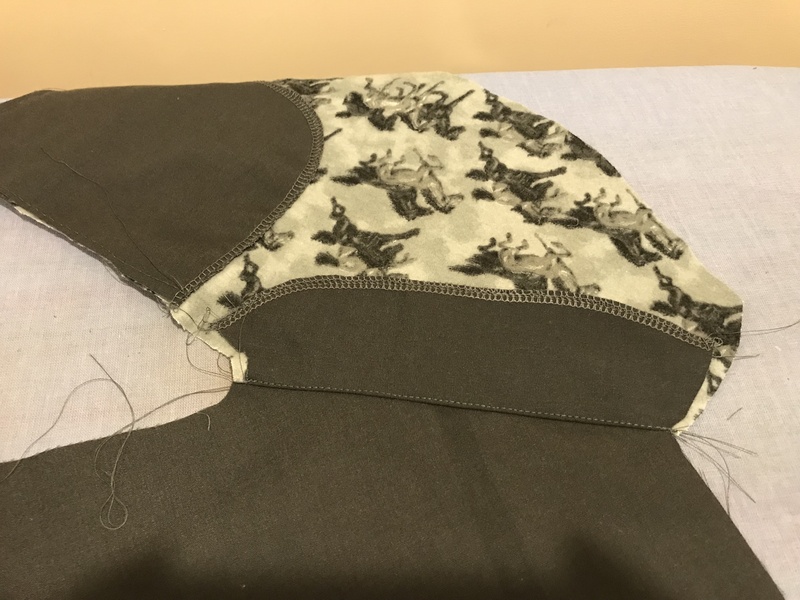 I’m not sure this is how I am supposed to do it but I ended up sewing a wide hem, then folding that piece over and stitching just at the side seams. I like the way it looks, even though this may not be what the pattern had in mind. 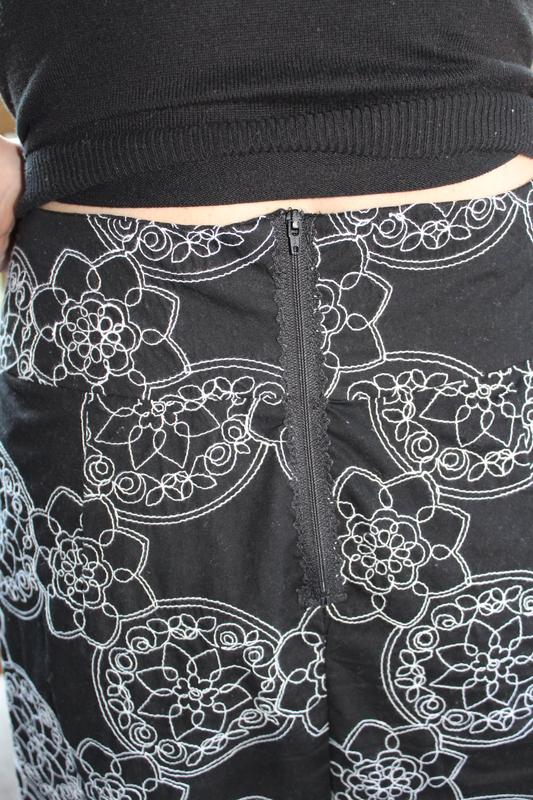 A few imperfections – the back seam was a bit fussy and in the end wasn’t perfectly fitted. Also, the front fly shows a little bit of the underside lining, but I’m still very happy with the results. And now, to take these to the next phase – actual pants! This has been my downfall, so I’m hoping the successes with the shorts can translate to a pair of pants that I can actually wear proudly. 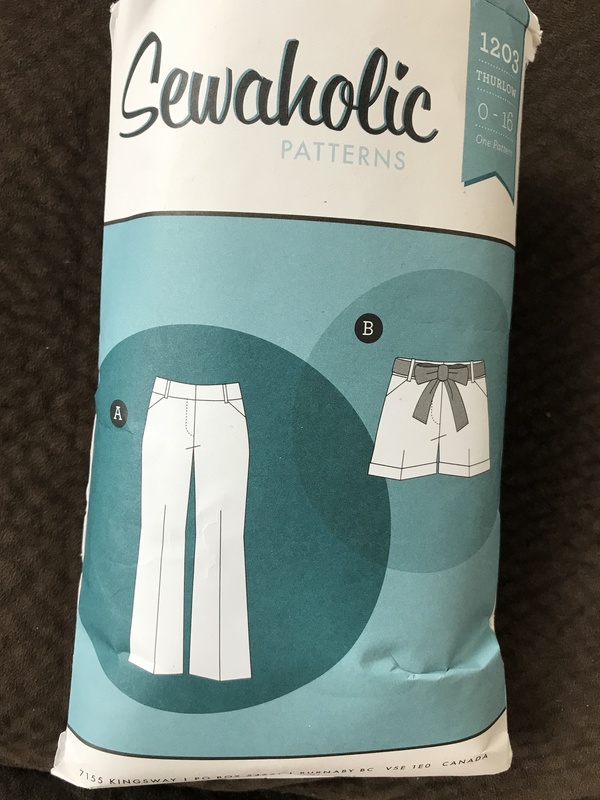 Categories: Sewing Projects, Uncategorized | Tags: homemade clothes, Homemade pants, homemade shorts, Sewaholic patterns, Sewaholic Thurlow trousers, Sewing, Thurlow shorts, Thurlow Trousers, Welt pockets, zipper fly | Permalink. My year of learning is off to a bit of a slow start. However, the shorts that I am making are actually making great progress it’s starting to look like they will be a success. It is looking like I may extend my pants practice into March as well, as I didn’t really get a good start until the middle of February. In the meantime, here is a project that I completed back in December. I’m quite proud of it, since it was one of my most successful pieces. I didn’t even have to make a test garment for this one either. 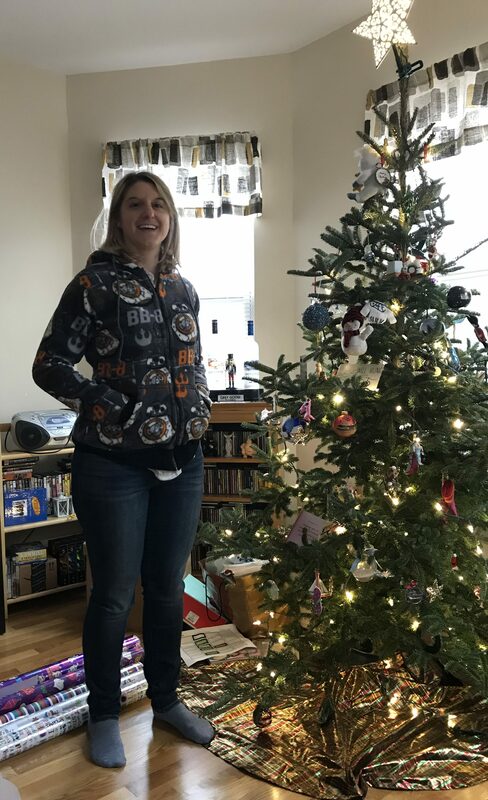 I bought this BB8 fleece when Star Wars: The Force Awakens came out. I fell in love with that little droid and even though I had no idea what I was going to make with the fabric, I ended up getting a few yards. 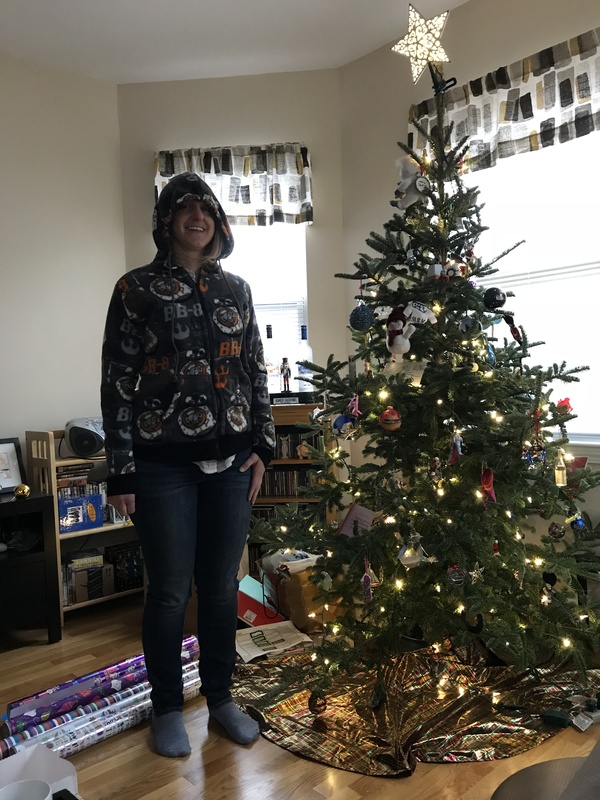 The inspiration to make a fleece hoodie actually came to me at work – my office is pretty cold in the winter months and I’m always longing for more layers no matter what I wear. I did an extensive search for just the right pattern and settled on this one by Hey June Handmade. I’m really glad I did since it was really easy to follow. There are two versions in this pattern, and I actually sewed up the the one that is not featured on the cover. This required a separating zipper to be installed down the middle. The zipper itself wasn’t hard to install, however it did require a bit of hardware as I was supposed to remove some of the teeth at the top. I needed some clippers, so I used some of my pliers to get the teeth out. It was tough getting them to not fly across the room, but I think I found them all…sure. I’m extremely happy with the results. Not only did everything turn out as well as I hoped, but the hoodie is also quite warm. It’s been great for this winter, which has seemed to drag on a bit. The design of this pattern is excellent as well, making it look like a real hoodie you would buy in a store. And since I was able to get it right the first time, I would say highly recommended for semi-beginners as well. What a great winter project! It’s too bad there is a bit of a wait for the next Star Wars movie, but I guess I will be ready. I’ll be back soon after I work through my Thurlow pants project. 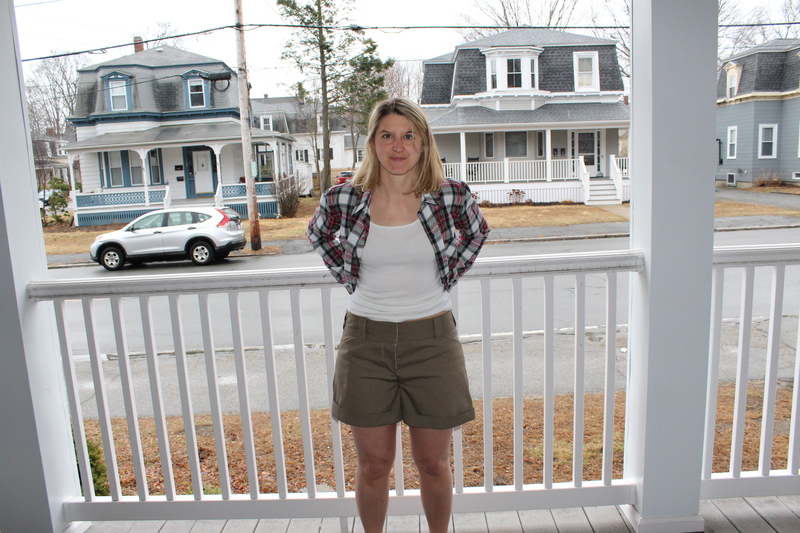 I decided to start small with that one – meaning shorts! Even though it’s not quite the season, I thought it might be a bit more manageable. Until then…beep beep to all! 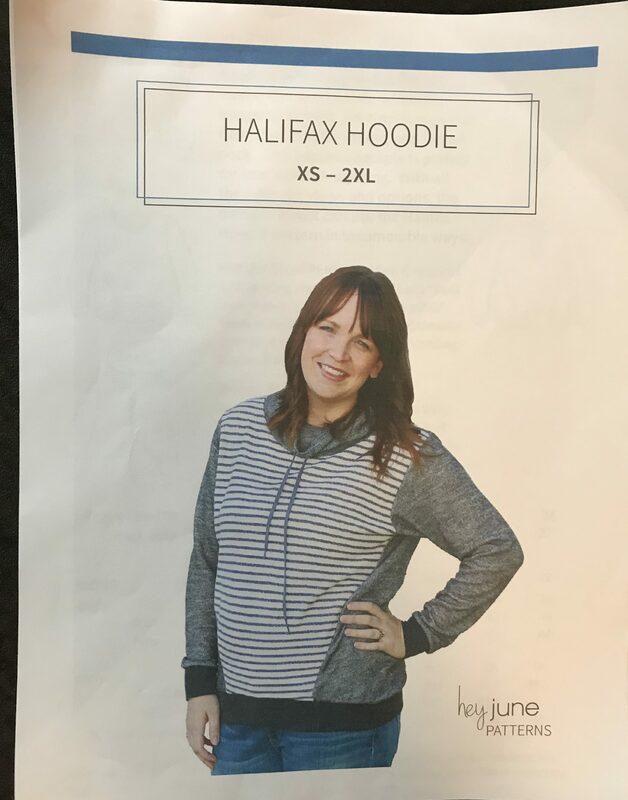 Categories: Sewing Projects, Uncategorized | Tags: BB8, BB8 hoodie, Fleece hoodie, Halifax Hoodie, Hey June Handmade patterns, homemade clothes, homemade hoodie, Sewing, Star Wars fleece | Permalink. 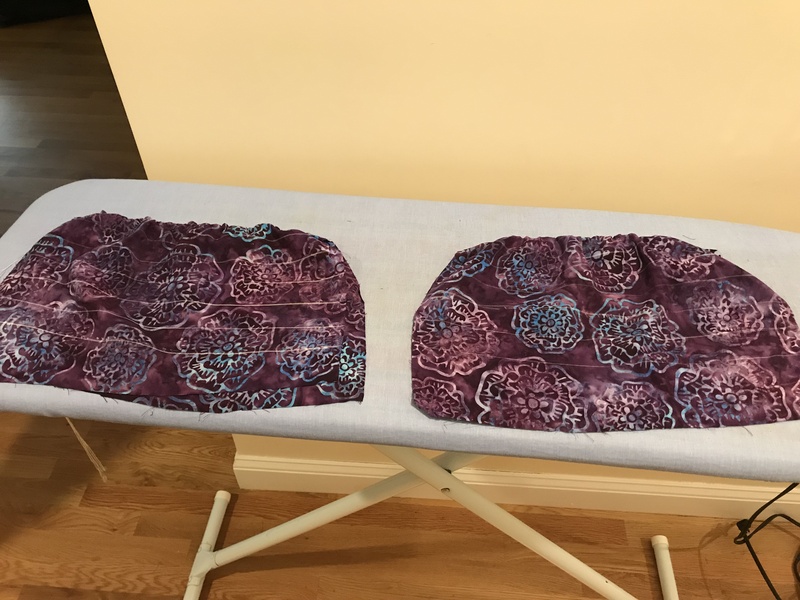 Although I have been away from this blog for awhile, I have been sewing. It’s been infrequent and the projects are slow-going, but I have been trying to fit in as much as I can with the small amount of free time I have. 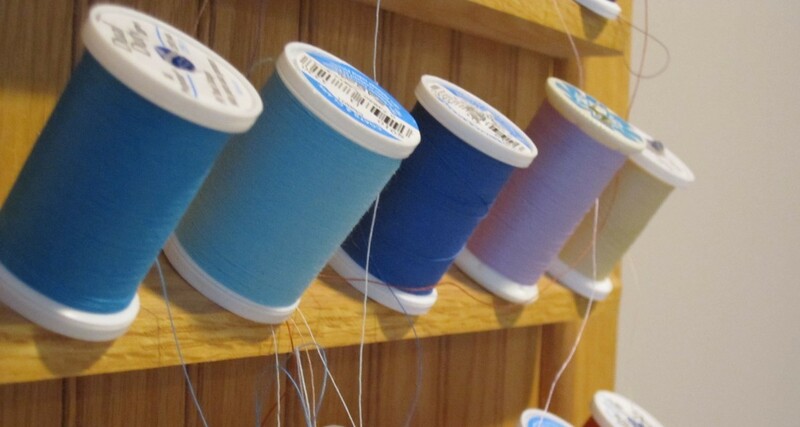 In these busy times, I feel like I need to be strategic about my sewing since time has become less of a luxury. 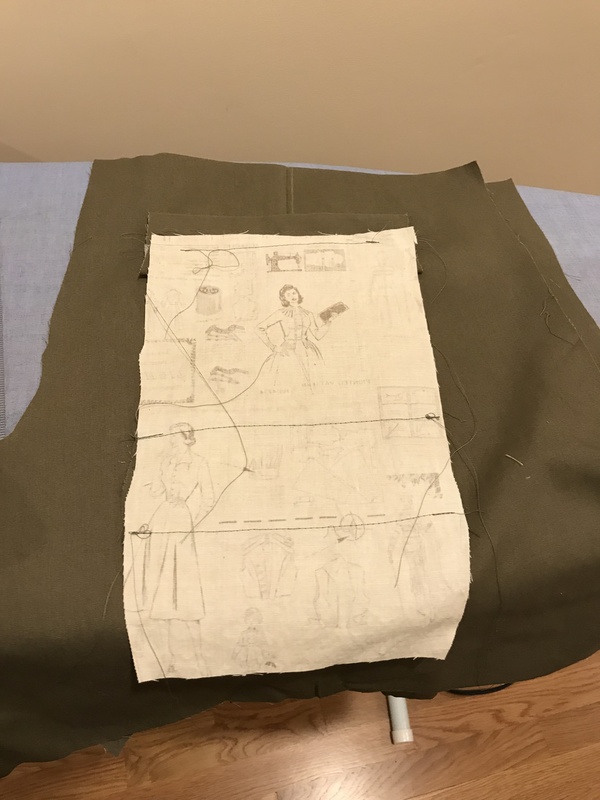 When I first started making my own clothes, it was all about learning. I was learning about different fabrics, learning new techniques – I loved trying new things. The last half of 2018, sewing felt like a bit of a chore. I was still enjoying the process of trying to complete my uncompleted projects, but because I had so many other things going on, it was all very tiring. I have since given a few things up and I am getting into more of a routine with my new-ish job. I want to get back into problem solving mode with my sewing and I think this year I can make it happen. I’ve always been the type of person who loves to learn. Part of the reason I love my new job is that I am learning so much more than the last few jobs I’ve had. I’ve been taken out of my comfort zone and every day I’m trying to perfect skills that I’m not naturally good at. It’s rewarding, but at times it can be mentally exhausting. 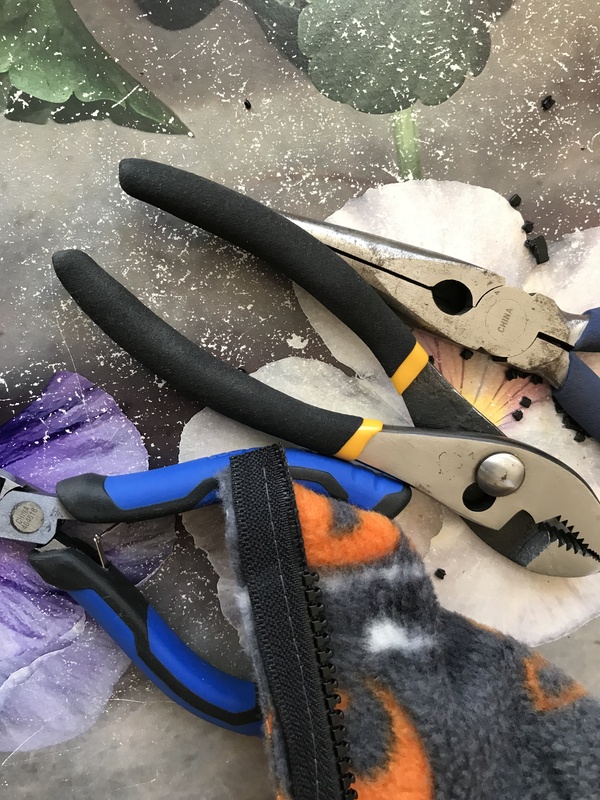 Sewing could be a welcome distraction at times, but this year as I settle into more comfort with my routine, I want to really focus on the learning. This is why I’m changing things up a bit in my sewing project management. Before I would keep tabs on all my uncompleted projects, trying hard to get garments finished within the season I would be wearing them. I always seem to fail at this. Even though it felt like I was focusing on things, I really lacked a lot of focus and any little change in routine or life happening would really throw my plans out of wack. I need to keep things a little simpler in order to fix my focus and feel like I’m improving my skill. I’ve decided that each month I will pick something to focus on and hopefully I can diversify this enough so that I can still keep learning new skills and perfecting new garments. 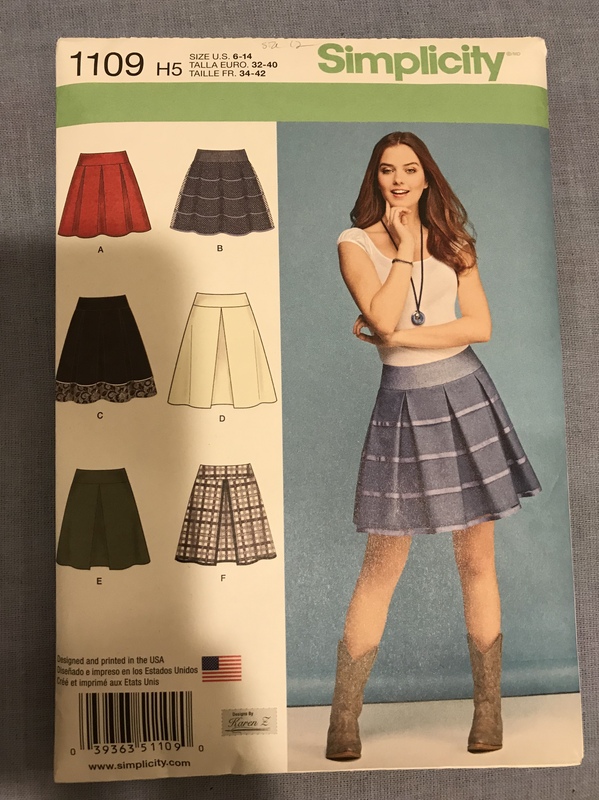 Categories: Sewing Projects, Uncategorized | Tags: 2019 goals, homemade clothes, Sewing | Permalink. This year has been pretty crazy for me so far. It started with me losing my job unexpectedly, then moved on to a big move and a new co-habitation situation with my significant other. All of this occurring while I was training hard and accomplishing my major running goals and then finally shifted to me getting a new job and trying to find some normalcy and a regular schedule for my life. With all these changes taking place in a fairly short period of time, I saw my planned and unfinished sewing projects piling up. Whenever I found myself with a pocket of free time, I would try to hurriedly work on these. Unfortunately these rushed blocks of productivity lead to some large, unplanned mistakes. Doggone it! It’s upside down! 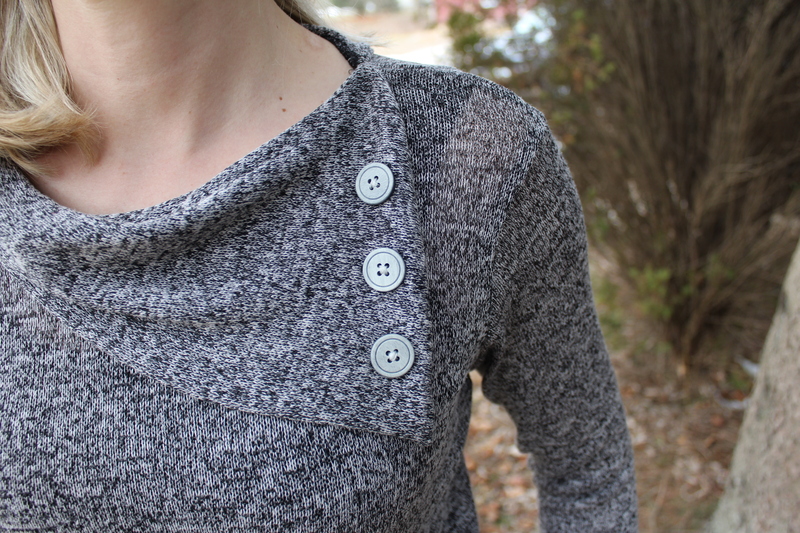 I had the perfect project in mind – a garment I really wanted ready for this spring. It was one of the Rhapsody Blouse options from Love Notions. The fabric I wanted to use was this very soft, almost gauzy, cotton that had this really cute dog print pattern on it. I bought it thinking it would be cute for some kids clothes, but since I don’t have any kids, I decided I liked the material too much to not keep it for myself. I cut the project out in between packing my stuff for my move. I even attempted to make a small amount of bias tape with the leftover fabric I had (it wasn’t much), but that didn’t seem to work right. I’m not sure if the material was too stretchy, but the shape wasn’t right when I tried to use this method. Yeah, I don’t know what’s going on here either. This is what happens when you attempt a new trick at the end of a long evening. Such a rookie mistake! I didn’t pay attention when cutting this printed fabric. I had cut the shirt completely upside down. All the dogs were on their head. I couldn’t believe I had made such a big mistake, but I was trying too hard to get the blouse cut out before the big move. Since I hadn’t done a project with a real print in awhile, it didn’t even cross my mind to make sure this was right. I was concentrating too hard on making sure I could fit all the pattern pieces and that I had measured the right size for me. Oh well, at this point I was still going to finish the blouse. It would just be a bit quirky. One good point is that because I chose the elastic sleeves, it tends to hide some imperfections that exist in the sleeve hem. Luckily the rest of the construction went very well, even making the bias tape, which I was also a bit rusty at. In the end, I had a nice spring blouse…although it was now summer and too hot to wear it. It’s still light enough to wear on a cool summer evening…and there is always next year. 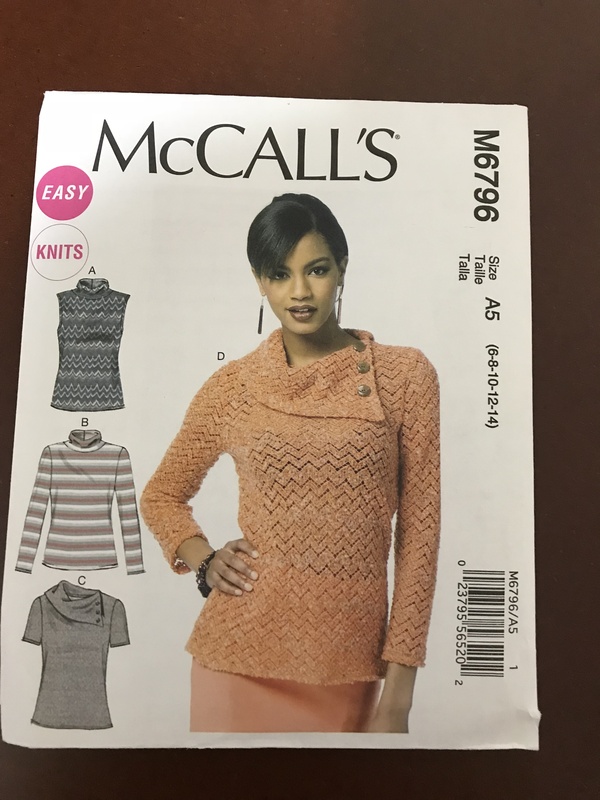 Categories: Sewing Projects, Uncategorized | Tags: Bishop sleeves, cotton gauze, homemade blouse, homemade clothes, homemade shirt, knit fabric, Love Notions pattern, navy blue knit, Rhapsody Blouse, Sewing, Vogue Patterns, Vogue V8670 | Permalink.